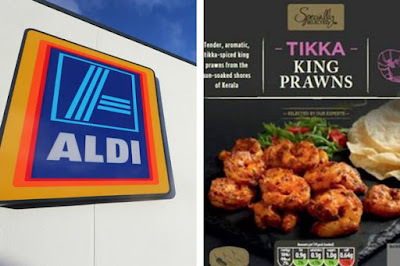 Following a round of testing which found Salmonella bacteria to be present in packs of Tikka King Prawns from Aldi’s Specially Selected range, Food Standards Scotland (FSS) have issued a recall notice for the product. The recall is taking place across branches throughout Scotland and Northumberland. A Spokesperson for FSS further stated, “Aldi is recalling the affected product from its customers and displaying point of sale notices in stores explaining to customers the reason for recall and the actions they can take if they have bought the affected product. Customers who purchased the product have been urged not to consume it, and to return it to the place of purchase for a full refund.